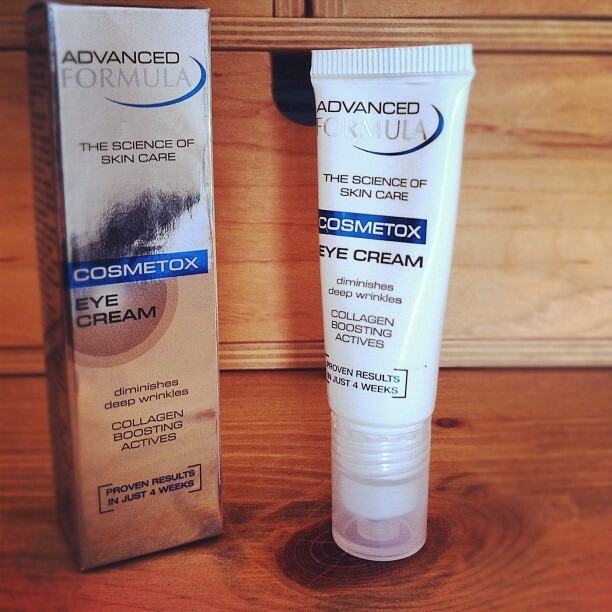 I have a new eye cream of choice: Cosmetox eye cream from the Advanced Formula range at Marks and Spencer. I had been using Estee Lauder's Advanced Night Repair eye cream, but my skin has recently become much drier, and I found I needed something more moisturising. 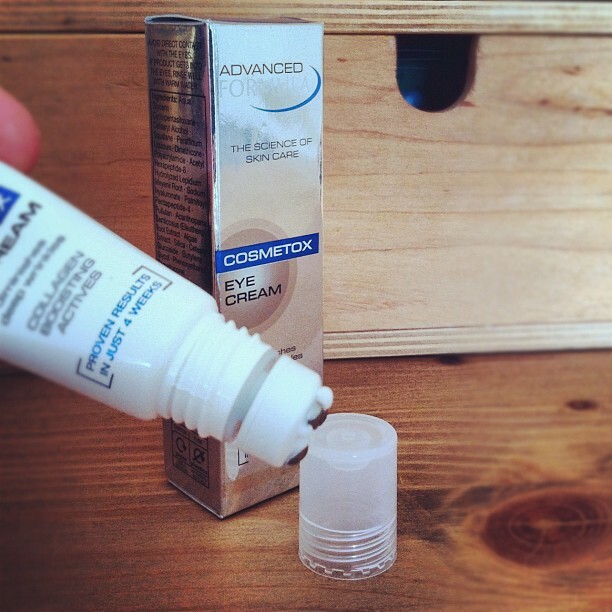 I'd spotted this eye cream on my lunch-time sandwich dash, and thought I'd give it a try. What really attracted me to it was the applicator - the roller ball makes it super quick and easy to apply, without having to get your hands dirty. The active ingredients include collagen, hyaluronic acid, plus proteins and peptides to prevent and decrease wrinkles. The cream definitely feels moisturising, but it manages to stay light and sinks in really quickly. I'll be sticking with this one for a while. My all time favourite is the budget-busting eye cream by Zelens, from Space NK - a super-light texture, which is a cross between a gel and cream (similar to Advanced Night Repair eye cream) but very moisturising. I noticed a definite improvement in fine lines around the eye, but what this cream gives is a luminosity to the skin which I've never had from any other eye cream. The rest of the range is great too, and also give the skin the luminous glow. Yes it's pricey, but you only need to use a little, so a pot will last you a long time. 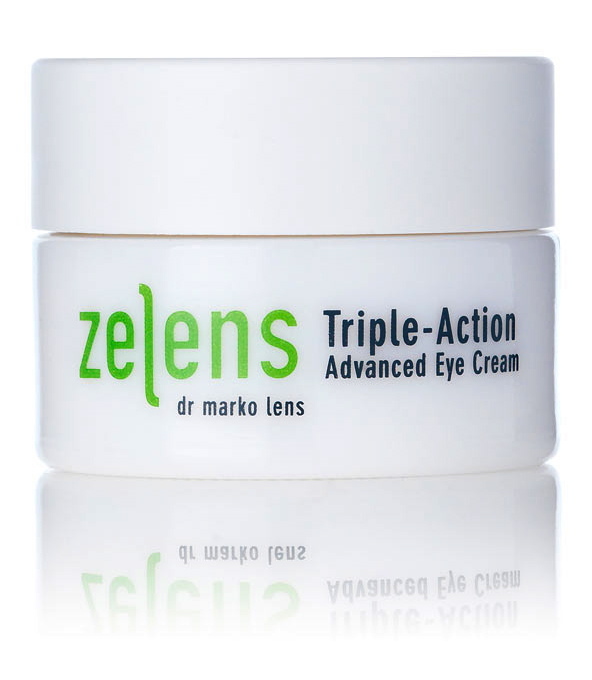 It contains collagen, hyaluronic acid, proteins and peptides, as the M&S cream above, but also contains Snap-8, a non-toxic alternative to botox, which has a similar affect on the skin. And that's what you're paying for with this cream. 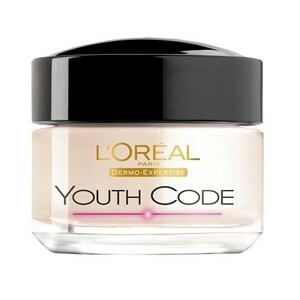 My budget favourite which I go to when the pennies just won't stretch far enough, is L'Oreal's Youth Code. A light-weight cream, which has quite a dry texture, it's a good one if you don't like the feel of more moisturising creams. The light pink colour also helps to cover up dark circles, as well as targeting fine lines and wrinkles. 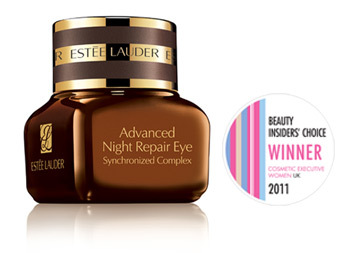 This cream by Estee Lauder had previously been my standard go-to eye cream. It's another one with a gel-cream texture, which is what I really like in an eye cream. The focus here is on hyaluronic acid to moisturise, plus a cocktail of anti-oxidant to prevent and repair environmental damage, caused by UV, irritants and pollutants. Remember, the skin around the eye is four times thinner than the skin on the rest of your face - handle with care.